The Wii spawned yet another peripheral that for a low cost ($99 + S/H) will change the way in which you play your favorite games. 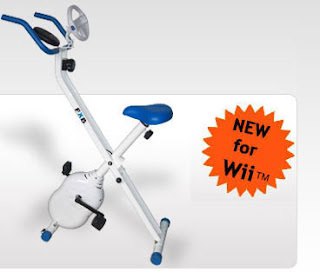 Unlike the Gamercize products, which their company quotes, the FXB is not a Movement Mediated ExerGaming device (MMEG), rather it is just a lightweight bike that has a place to attach a Mario Cart Steering Wii Wheel and a simple cycle mechanism (un-attached to the game system). It is in a category of devices called Non-Meidiated ExerGaming (NMEG) It says it can hold up to 250lbs but it looks kind of small. 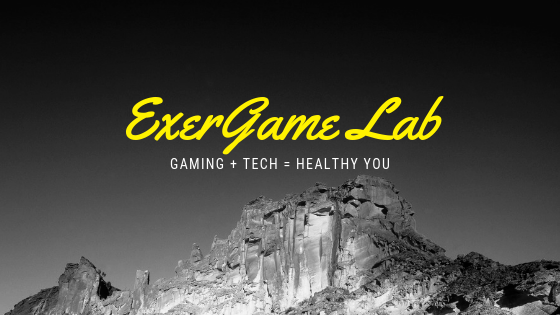 Only one way to tell, let's see if they want to send one to the ExerGame Lab for some testing.